With its rich history and eclectic neighborhoods, Memphis is definitely one of the more unique cities in the South. Two developing arts districts within the city are creating a strong culture of visual art to stand alongside the long-standing Memphis musical tradition, with a strong culinary scene that’s all its own. These are merely a few of the reasons why you might find that Memphis is a perfect fit for your next family vacation, with the respectable number of kid-friendly attractions. 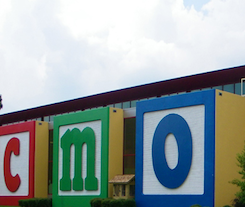 Children’s Museum of Memphis (Memphis, TN 38104) – Math, art, health and science are just a few of the subjects touched upon by permanent and seasonal exhibits in the Children’s Museum of Memphis. Parents with younger children in tow will also appreciate the Playscape Park, where little ones from infancy to four years of age can play while their older siblings explore. There are also homeschool programs in place for children outside the public education system. Memphis Botanic Garden (Memphis, TN 38117) – Sprawling across ninety-six acres and comprised of twenty-three specialty gardens, including a butterfly garden, a cactus garden and a prehistoric plant trail, the Memphis Botanic Garden is a great option for outdoor exploration while you’re in Memphis. My Big Backyard, an area created and cultivated just for kids, has sections specially directed at toddlers, kids with special needs and water features. Memphis Zoo (Memphis, TN 38112) – Home to more than five hundred different species and three thousand, five hundred animals, the Memphis Zoo has been ranked “#1 Zoo in the U.S.” by TripAdvisor.com users, and is divided into three zones for easier navigation. Be sure to check out their homeschooling programs, if your children are taught at home! Pink Palace Family of Museums (Memphis, TN 38111) – From modern IMAX theater technology to prehistoric dinosaur exhibits, there’s certainly something for everyone in the Pink Palace Family of Museums. Check out the planetarium, science center and nature center, and keep an eye on upcoming events if you’re planning a trip to Memphis. Graceland (Memphis, TN 38116) – It’s hard to imagine a trip to Memphis without at least a glimpse of Graceland. While younger kids may not have a clear idea of who Elvis Presley was, they’ll still be amused at the now quite dated decor and ostentatious furniture inside the house. Chucalissa Archaeological Museum (Memphis, TN 38109) – Kids with a burgeoning interest in archaeology will be delighted with a visit to Chucalissa, which specializes in Native American history and offers a beginner’s introduction to archaeological science. There are also a selection of children’s books in the gift shop, which can help to fan the flames of curiosity long after your visit to Memphis ends. Woodruff-Fontaine House (Memphis, TN 38105) – Part of the Victorian Village section of Memphis, the Woodruff-Fontaine house is a French Victorian mansion built in 1870 along what was once known as “Millionaires Row.” Little fashionistas will be awed by the impressive collection of period clothing, from the Victorian era to the 1920′s. Special events for kids can also be hosted in the Gingerbread House, built in 1906 and decorated in a Victorian children’s theme. Belz Museum of Asian and Judaic Art (Memphis, TN 38103) – Housing an impressive collection of Chinese art, most of which is from the Qing Dynasty, alongside contemporary Judaica and natural history objects. Located near the historic Peabody Hotel and accessible from the Main Street Trolley Line, the Belz is a great way for kids to expand their cultural knowledge. Backbeat Tours (Memphis, TN 38103) – One of the most exciting ways to experience the city of Memphis, Backbeat Tours offer a variety of tours around town. Haunted Memphis, the Historic Memphis Walking Tour and seasonal events like the Hound Dog Tour during Elvis week are among the offerings available. National Civil Rights Museum (Memphis, TN 38103) – Located at the Lorraine Motel where Dr. Martin Luther King, Jr was assassinated the National Civil Rights Museum chronicles the evolution of the civil rights movement in a way that helps kids understand exactly how far America has come since the abolition of slavery. Aspiring musicians are sure to be enthralled with a visit to the iconic Sam Phillips’ Sun Studio, where such great acts as Johnny Cash, Roy Orbison, Jerry Lee Lewis and the King of Rock and Roll himself, Elvis Presley, all got their musical start. Young sports fans may be more excited to stop at the FedEx Forum, where the National Basketball Association’s Memphis Grizzlies hang their jerseys.